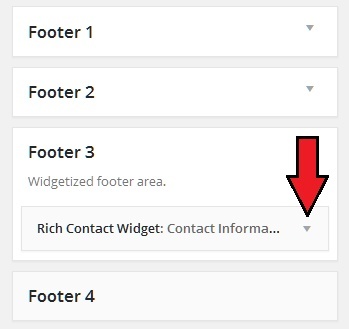 To update the contact information found on the footer area of all website pages, you'll just need to edit a specific footer widget. Visit Dashboard> General Content > Widgets. Look for Footer#3 widget area on the right hand side, and open the contact widget inside. Just replace "yourdomainname" with your website domain or URL.